An author named K. Thor Jensen has shared documents alleging massive debts owed by Milo Yiannopoulos. The far-right pundit’s debts seemingly include over $52,000 to the Four Seasons for his Hawaii wedding and over $153,000 in legal fees owed to Meister Seelig & Fein, the law-firm that represented him in his failed lawsuit against Simon & Schuster. The second document Jensen posted is an October 2018 email from Yiannopoulos containing a spreadsheet of over $496,000 in unpaid debts, including over $74,000 in unpaid royalties to Allum Bokhari, an author at the right-wing site Breitbart; a $32,000 royalty payment to Islamophobic agitator Pamela Geller; and nearly $47,500 in credit card debt. The final document is dated February 2018 and comes from the Sullivan, Meheula, Lee law firm. It attempts to collect a $52,016 debt from Yiannopoulos and his husband on behalf of the Four Seasons Resort in Hualalai, for services rendered when the couple married there. 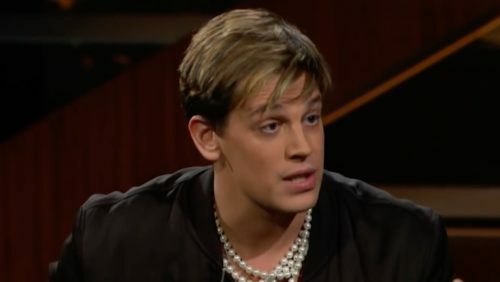 Earlier this year, Yiannopoulos’ financial difficulties forced him to layoff staff members from his personal website, Milo Inc.. Yiannopoulos then had a “delicious meltdown” on Facebook berating his subscribers even though he’d failed to provide them with exclusive content on his site as promised. In 2017, Yiannopoulos’ sugar daddy Robert Mercer cut financial ties with him, providing a sour cherry to top his awful year. The authenticity of Jensen’s documents suggest the severity of Yiannopoulos’ financial troubles and an upside to Venmo and Paypal both de-platforming the self-described troll for his hateful speech earlier this year.